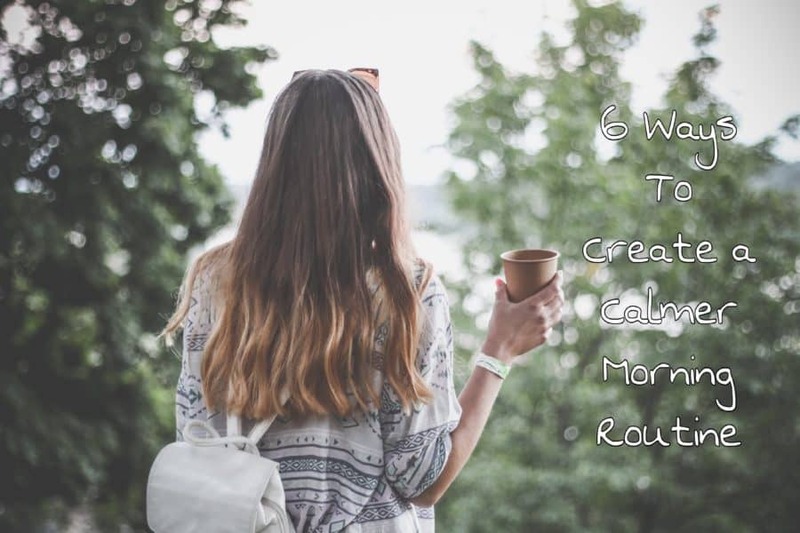 By Guest Blogger and Life Coach, Carly Taylor from Revitalize Your Soul. Calm & morning are not usually two words that go together for busy parents. In fact it is usually the exact opposite. Mornings are a stressful time for parents, whether you’re organising everything before work or trying to get kids to school. Wouldn’t you just love for the mornings to run smoothly, for the kids to listen, get changed & put their shoes on without having to shout? Having a calm morning seems something of an illusion to a lot of people. We all see those people who shake their head at you when you are 2 minutes late after the bell has gone off. Of course they are never late, they are perfect right? Wrong, I’m sure that they have mornings where they are chasing their tail. People are very good at putting on an act to look calm & collected even if they are screaming inside. 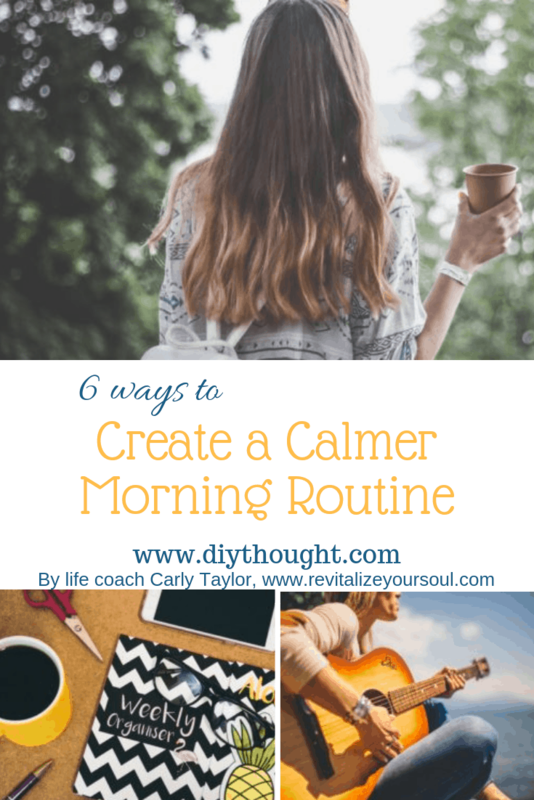 So how do you create a calmer morning with no shouting or repeating yourself? Whether you organise clothes, lunches, & your outfit the night before or in the morning give yourself time. Running around in the morning is not fun for you & I promise it won’t be for the kids either. I like to get clothes ready the night before, uniforms are laid out & my daughter likes to pick her outfit out the night before. That way she has a calm morning from the start, which always helps. Taking the choice away in the morning will cut out time for your little ones (girls) from deliberating for hours over what to wear. It can be very frustrating waiting for them to decide & time-consuming. What kid doesn’t like cuddles in the morning? To be honest I love morning cuddles too & I am sure you do too. For a lot of parents they are so busy running around that they forget to simply cuddle their children. Kids don’t understand time management & getting everything organized, they just see mum & dad running around not giving them attention. Even if it is for just 5 minutes of uninterrupted snuggles on the couch, your kids will start the day in a loving & positive way. They will start the day will a calm morning & the much needed love they crave. If your kids are old enough get them to help out. I know we can usually do the job quicker & better but it gives them some responsibility in the morning. Plus it’s a great way to earn some pocket money, & they learn the value of money & earning it. Chores can be unpacking the dishwasher, setting the breakfast dishes out, packing their school/kindy bags. It teaches them to be organised & they love being helpful too. When they see you having a calm morning it will become normal to start the day that way. Children thrive off routines just like a lot of adults, so get sharing the chores. I am sure your kids roll out of bed some days in a foul mood for no reason, heck we do. So how do you get them out of the funky mood they are in? You up the tempo, put their favourite song on & let them groove away. I use it personally when I’m in a funky mood, it makes you get out of your head & find a happy place. Music is good for the soul so why not feed it with some funky beats. Give it a try, I bet you will thank me later when your kids are having a calm morning. Create a morning ritual that leaves you refreshed & in a good mood in the morning. If mum or dad is in a bad mood then the kids will respond to your funky vibe & follow suit. I like to get up before the kids & wake up in a non stressful environment. Sometimes I exercise before they wake up, sometimes I do it after school drop off. Some of you may just need a cup of coffee to fully wake up before anyone talks to you, or you might have a shower & get ready. Mornings just seem to go smoother if you organise yourself first, then you are not chasing your tail. Exercising before the kids wake up will leave you feeling revitalized & calm, your endorphins (happy hormones) will be infectious. My kids love it when I am up before them all organised & happy. It wasn’t always like that, I used to wait until the last second until I had to get out of bed. I can promise you, I wasn’t in a very good mood when I woke up, the kids were needy & demanding. It’s horrible waking up with grumpy children who wake you up complaining. I know you have all been there. This was the main reason I changed things up & created a calm morning ritual. Go to sleep an hour earlier & see how you feel. I know nights are our special time where we have time to ourselves. Switch it around & have that time to yourself in the morning instead when it’s peaceful, calm & quiet. You will feel well rested & in such a better head space to deal with the kids & they will respond well. Try & bank some hours before midnight as they are the most valuable sleep hours you will have. I have never been a morning person in the past, & I surprise myself sometimes. When you are naturally a night owl it can take a short while to adjust but it will be worth it. Being calm in the morning after a good nights sleep will create a lot calmer morning. Calm mornings aren’t just an illusion or a dream they actually do exist. Of course there will be days where you slept through your alarm or you have raging PMS, were only human. It’s what you do 90% of the time that will make a difference. Even if you try a few of the tips I shared & create your own calm morning ritual I am sure you will see the benefits.